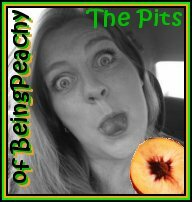 The Pits of Being Peachy: just KILL me now please. I hate bugs. No seriously I freaking HATE bugs. I had to look at thousands of their pictures. 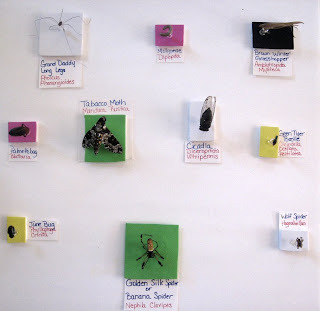 I had to hot glue the decaying falling apart stinking bug bodies to a board. Fair Exhibit People- this is NOT freaking cool. You did this just to push me over the ledge I have been balancing on so delicately for so many years. For the love of my son and the fact I made a commitment/promise to him that he would get to do this project I suffered unmentionable mental and physical torture. It's super hard to type while breathing in this paper bag while making grain alcohol in pantyhose with toilet water. I am fumbling with the phone and pushing #3 for mental health. I have to go and soak in more bleach, because I just thought about when the Banana Spiders leg moved as I was jabbing a pin in it's body. I would rather rake my crotch across broken glass riddled red hot coals while jabbing razor blades under my finger nails and soak my tongue in boiling hot lava while digging out my eyes with a spoon then EVER look at another bug. So here, join in my pain. I have to go the people with the white coats are going to be here soon and I need to go bleach myself one more time. Oh, Gawd, this post made me ITCH!!! And btw, I gave you a blog award! It's over at glitterfrog.